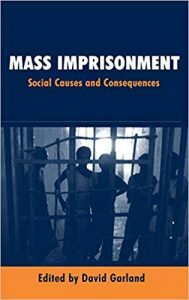 Mass Imprisonment examines what is known about the political and penological causes of the social phenomenon of the US prison system. David Garland brings together papers by criminologists, sociologists and historians to describe the impact of prison. This major new volume of papers by leading criminologists, sociologists and historians, sets out what is known about the political and penological causes of the phenomenon of mass imprisonment. Mass imprisonment, American-style, involves the penal segregation of large numbers of the poor and minorities. Imprisonment has become a central institution for the social control of the urban poor.